Before he became governor, Greg Abbott was asked to replant trees on his Austin property — a regulation he has set out to axe during the upcoming special session of the Texas Legislature. Before he became governor of Texas, Greg Abbott was asked to replant trees on his property in Austin after a protected pecan tree there died — a regulation he has set out to axe during the upcoming special session of the Texas Legislature. 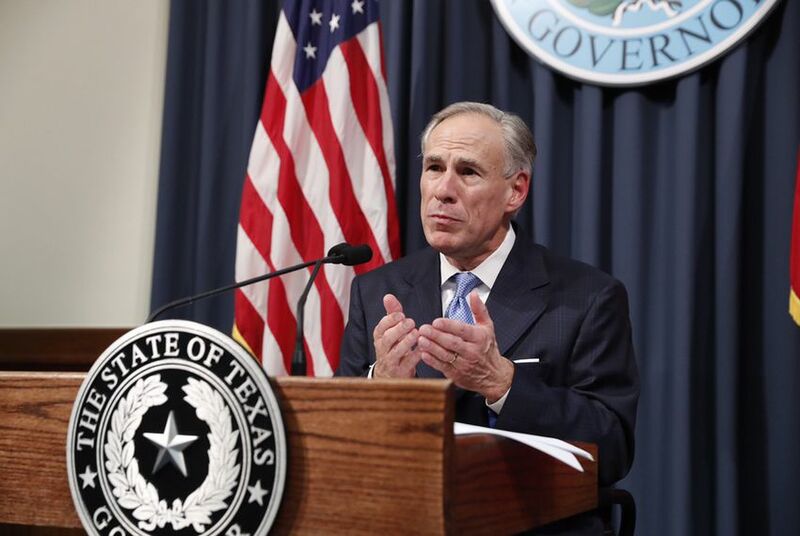 Last week, Abbott called on lawmakers to prevent cities from regulating what property owners do with trees on private land as one of 20 items for a special session that will begin July 18. In interviews and public appearances, Abbott has repeatedly railed against the local regulations as a violation of private property rights, and he has pointed to his own experience as a homeowner in Austin as an impetus for the bill. “I wanted to cut down a common pecan tree in my yard, and the City of Austin told me, no, I could not cut it down and I had to pay money to the City of Austin to add more trees to my yard because I wanted to cut down one very common tree that was in a bad location,” Abbott said on WBAP Morning News last week. “It’s socialistic, is what it is,” he said. Documents of city tree permits for the property at 2601 Wooldridge Drive in Austin, which Abbott listed as his property in his personal financial statements before selling it in 2015, tell a slightly more complicated story. Between 2011 and 2013, representatives from Abbott’s property filed for a total of six tree permits from the city of Austin, all of which were approved. In May 2012, the city approved Abbott’s request, filed through a landscape contractor, to cut down the pecan tree on the condition that he replant trees. A permit signed April 30, 2012, had asked that a representative from a pool construction company not excavate near the large pecan tree, which Austin considers a heritage tree and protects. By May 31, 2012, though, the tree had lost more the majority of its canopy because of damage the construction had caused to its roots, according to the city tree permit. Abbott was asked to replant trees as a result. “Unpermitted impacts have occurred within the critical root zone. This was to be preserved per previous tree permits. Mitigation is required,” the tree permit reads. Keith Mars, the city arborist for the city of Austin, said that around $120 in permitting fees were also charged to Abbott’s property over that time period. It was unclear whether Abbott actually cut down the pecan tree in question and planted the replacement trees. Mars said he "can't tell definitively if the permit condition was satisfied."